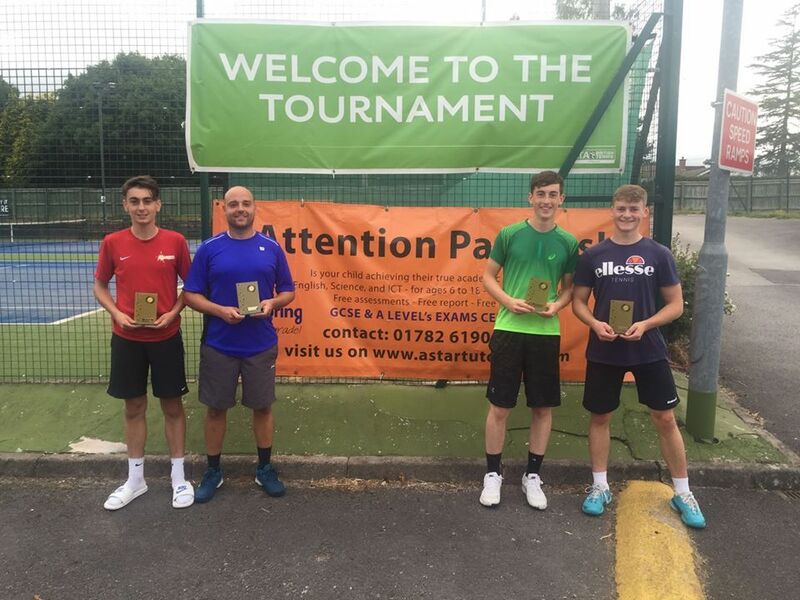 The Draycott Open 2018 took place from the 5th to 8th August at Draycott Racquet & Fitness Club. The 14U Boys Singles was won by Reuben Rees-Slawson from North Wales with the runner up being Will Heron. Reuben beat Will 4-0, 4-2. The 16U Boys Singles was won by Charlie Clark from Stockport with the runner up being Camron Stevens-Thys. Charlie beat Cameron in a tight match winning 10-2 on a third set Match Tiebreak. In the Men’s Singles it was an all Draycott Final with Gabe Korlyco-Bowers playing James Ledger, Gabe the Number 1 seed took the match 4-3, 1-4, 10-9. The winner of the Men’s Consolation was Guillermo De La Mata from Leicestershire. Home favourites took the titles in both of the Doubles. Firstly in the 18U Boys Doubles Harison Birch and James Ledger won the title beating Harry Hickson and Andrew Laurel 2-4, 4-2, 10-6. In the Men’s Doubles Tom Cowdy and James Ledger beat Harison Birch and Simon Laurel in a close final 2-4, 4-3, 10-9. This year the Tournament was kindly sponsored by A Star Tutoring who are based on North Staffordshire.